"The war we thought we finished is just beginning…" Universal has unleashed the first full trailer for the sci-fi sequel Pacific Rim: Uprising, the follow-up to Guillermo del Toro's monsters vs robots movie from a few years back. Guillermo del Toro produced and help write the story, but hands over the directing reigns to Steven S. DeKnight. This sequel continues after the first one, following John Boyega as Jake Pentecost, the son of Idris Elba's character Stacker Pentecost from the original movie. The ensemble cast includes Adria Arjona, Scott Eastwood, Tian Jing, Charlie Day, Burn Gorman, Rinko Kikuchi, Dustin Clare, Levi Meaden, Daniel Feuerriegel, Karan Brar, & Jin Zhang. There's actually some very cool footage in this trailer, shows some promise as a crazy epic, super fun sci-fi action film. Strap in! And enjoy. 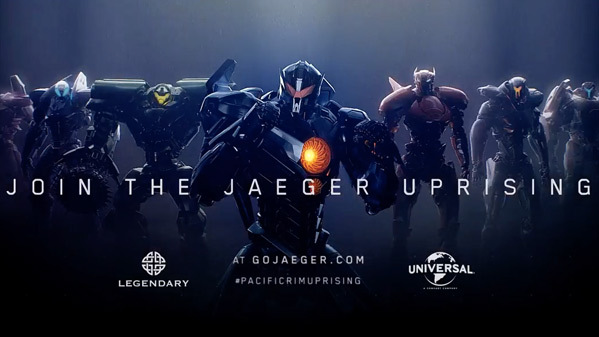 Set seven years after the events of the first film, the US Military forces are continuing with the Jaeger Project in order to keep protecting the Earth from the dangerous Kaijus. 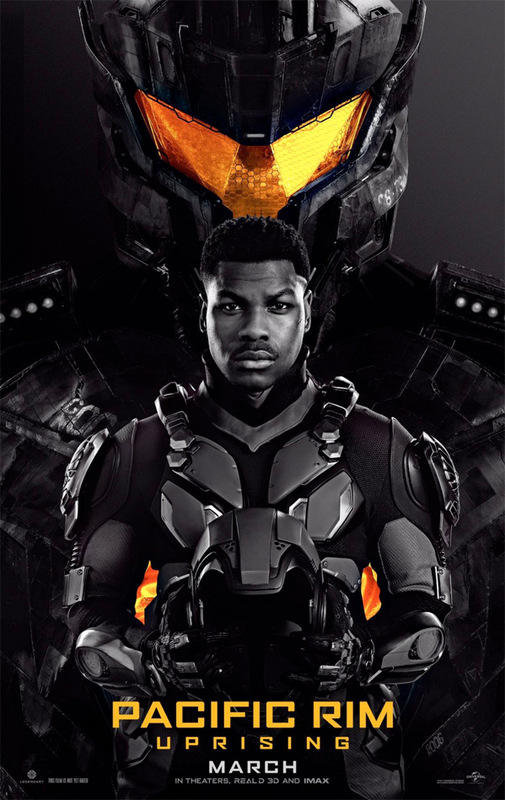 A young, mild mannered construction worker of The Wall (John Boyega) decides to join the forces of the Jaeger Project and takes the now destroyed Gypsy Danger and a new partner (Scott Eastwood) in order to battle the Kaijus which continue to threaten our world and our existence. Pacific Rim: Uprising is directed by filmmaker Steven S. DeKnight, making his feature directorial debut after directing a few episodes of "Smallville", "Dollhouse", and "Daredevil" previously. The screenplay is by Emily Carmichael, Steven S. DeKnight, T.S. Nowlin, and Kira Snyder; based on a story by Guillermo del Toro. Legendary + Universal will release Pacific Rim: Uprising in theaters everywhere starting March 23rd, 2018 early next year. Who's ready for this?